As previously mentioned, most of us know that by calling a gravy or sauce a ‘jus’ that you will tend to charge more for it, however sometimes this can be justified. For example, there is a huge difference between chicken that you have bought from a wholesaler compared to corn-fed chicken from an organic farm in the local area. At the end of the day, customers are usually more than happy to pay a bit extra if they are receiving good quality food, which is why if you invest in specialist ingredients you should make sure you mention it on your menu. You should also remember to mention any intricate cooking methods that you have employed in order to create a certain dish as it will justify a higher price tag. It is truly amazing the difference a fresh coat of paint and some decorations can make, which is why you need to ensure that your restaurant has an ‘atmosphere’. Going out to eat isn’t just about the food, it’s about a sense of luxury and spoiling yourself, which is why your restaurant’s surroundings should match the food on your menu. A really easy way to make the most out of your restaurant is to change its layout and small decorative objects with the seasons. For example, during spring and summer you should make sure that there is as much light in your restaurant as possible and fresh flowers on the tables. In autumn and winter try making your restaurant more ‘cosy’ by installing soft lighting or adding candles to each table. If the atmosphere is welcoming then your customers will be more than happy to pay a little extra to eat in your restaurant! Unlike in other countries, tipping is not mandatory here in the UK, which means that if your staff want some extra income they need to work for it. These days, most restaurants put rules in place concerning tipping in order to make sure that everyone gets their fair share, for example some ask their staff to put all their tips in a jar which they then share out between everyone in the company including the chefs (customers tend to tip for great food as well as service after all). In order to ensure that your staff receive as many tips as possible you should arrange regular training where you remind them how to treat customers and deal with any negative feedback. As a restaurant owner you should also make sure that you regularly brush up on these skills yourself as as far as your customers are concerned you are the face of the company! When it comes to upselling there is a fine line between encouraging your customers to part with their cash and being overly pushy. 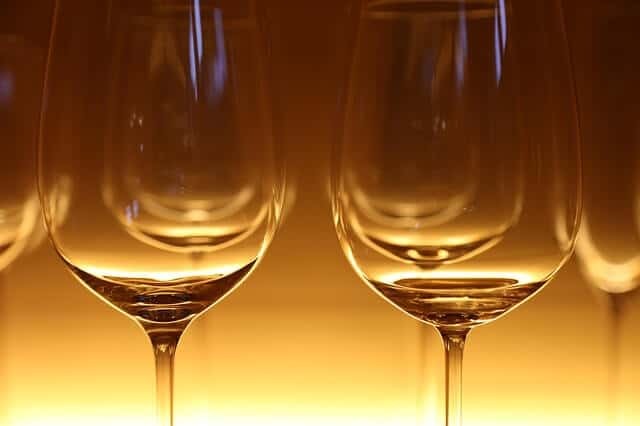 For example, if a customer asks for a glass of wine you may want to ask if they would like a large one, however trying to sell them a completely different wine for a much higher price will just come across as pushy. The same can be said about offering your customers desserts and coffee after they have finished their main meals – by telling them how amazing a certain dish is you may be able to change their minds, however if they are adamant that they just want the bill make sure you do as they wish otherwise they won’t want to come back! As a restaurateur you need to make as much money as possible in order to cover the costs of your rent, stock, restaurant insurance and other necessary outgoings. However, it’s always best to keep in mind that return business is king, so never try and push your customers so much that they won’t want to come back!